We live in an era where life without electricity is unimaginable. Whether it’s corporate activities or household chores, electricity plays a significant role in their smooth execution. From computers to your washing machines, everything runs on electricity, which means that a minor electrical fault can extensively hamper everyday activities. One such fault is electrical surges! An electric surge refers to a sudden change in current, power, or voltage in an electrical cable. Depending on its polarity, a surge can have an additive or subtractive effect on the normal voltage waveform. This induces sudden spikes in the power supply, damaging equipment connected with the supply lines. Electrical appliances are designed to handle a specified power rating. While they can handle minor voltage fluctuations, surges are a completely different story. In the worst cases, a surge can often lead to thousands of volts, which is why it’s essential to install surge protectors with your equipment. 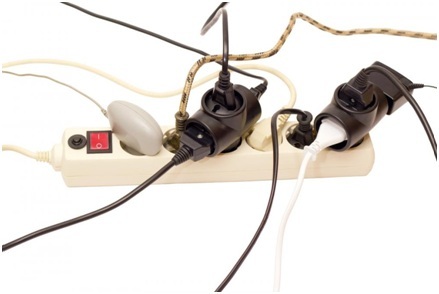 Here’s a list of things to consider before choosing a surge protector. 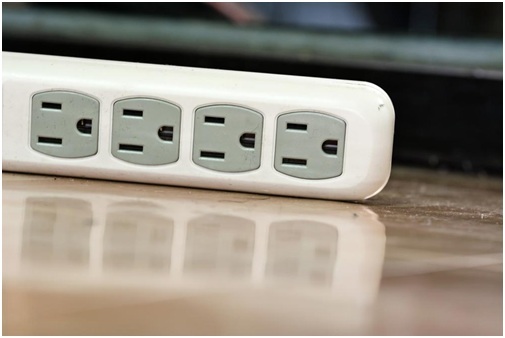 An essential factor to consider while installing a surge protector— power factor regulates the power supplied to electrical outlets by smoothing out electrical pulses. Surge protectors with the appropriate power factor ratings prevent your appliances from being over-energized. Protection against over-voltage is another aspect to consider while installing a surge protection device. Direct lighting strokes often induce over-voltage transient in your electrical cables and earth connections. This voltage surge travels through your power lines, damaging electrical equipment. While it isn’t a concerning factor for some appliances, it’s an important safety measure for appliances that are sensitive to minor voltage fluctuations. A measure of your device efficiency, joule ratings refer to the amount of surge protection offered by your device. It’s recommended to choose a device with a higher joule rating to achieve maximum surge protection. As a rule of thumb, pick a device with a joule rating above 700. The efficiency of your device significantly depends on getting the connections right. Keep your connector length as short as you can to prevent the occurrence of additional line voltages. In addition to that, keep your device in close proximity to your equipment. As a rule of thumb, a distance greater than 10m introduces frequent oscillations, which in turn increases the voltage appearing at the terminal of your equipment. Keeping your surge protection device functional is an effective way to make sure you’re not compromising on the electrical safety of your equipment. Once you’re done installing it, keep a frequent check on its performance to identify any faults. Normally, these devices are available with a performance indicator where a red light indicates any potential fault in the device. Looking for surge protection services in Cypress, TX? Get in touch with RHK Electrical! With years of experience, our electricians will make sure your appliances are adequately protected against electrical surges. We also offer comprehensive electrical services for generator maintenance, home rewiring, installation and repair of electrical fixtures, and installation of UPS!